Our space saver version of the wooden Low Platform Bed frame is a stunning addition to our space-efficient bed range. It’s an excellent option that meets every standard of exceptional quality that we have set as standard with all our luxurious wooden bed frames. 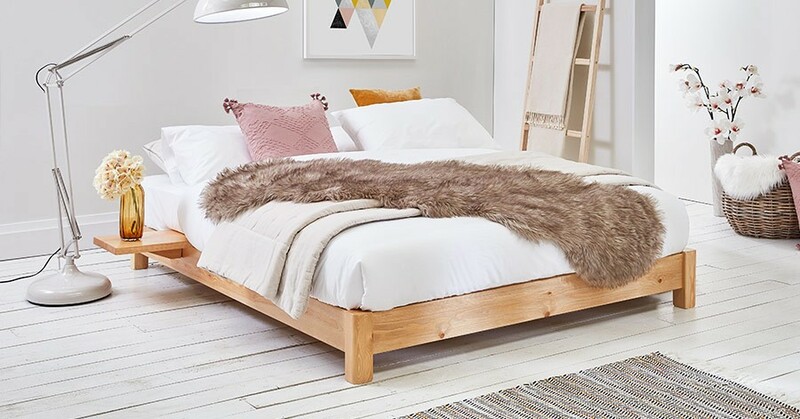 The Low Platform Space Saver Wooden Bed is part of our low bed range, and keeps to the same minimalist and contemporary design that has made our low beds such an inspiration for others to match. The Low Platform Bed design ensures it keeps to the unique qualities of the low bed while offering the advantages from our space saver range. The Low Platform Wooden Space Saver Bed is a very popular bed frame for those looking to maximise their bedroom space with a simple, low and modern design. This greatly maximises your available bedroom floor space. It also provides you with that extra few inches often needed to allow the wooden frame to fit into smaller recesses such as attic bedrooms or loft bedrooms. If you’re pushed for space, our space saver beds are perfectly suited to your needs, as they were designed with efficiency and compactness in mind. More importantly our space saving range can be pushed together with no gap in the middle. You are able to do this because this range of wooden bed frames was designed to allow the mattress to eloquently sit on top of the bed frame instead of the mattress sitting inside. Ideal for guest bedrooms, where you may want to offer a double bed as well as the single bed option. 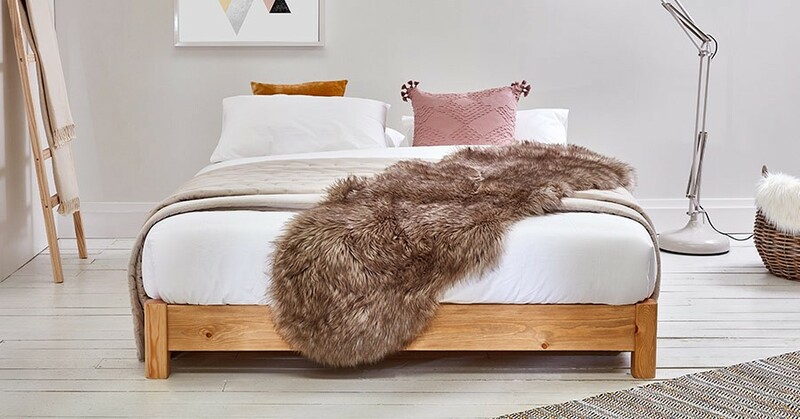 If you have a particular requirement in mind or want to make any changes to your bed such as increasing the headboard, the legs, or anything you need, contact us and we’ll make the perfect wooden bed frame for you. We offer a bespoke service to each and every one of our customers, with all modifications starting at just £75. 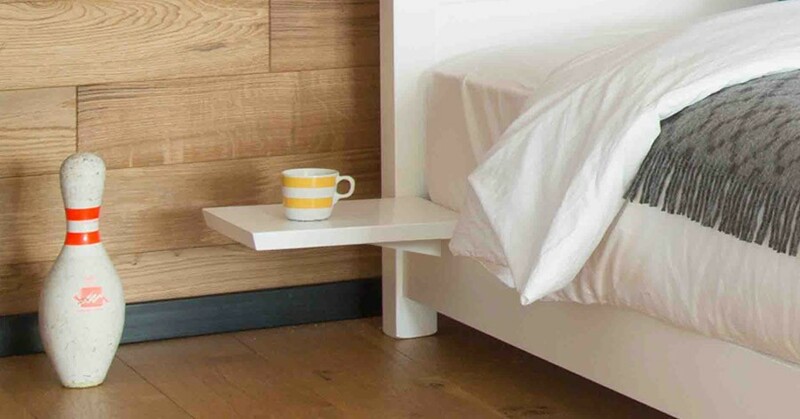 We can offer this on all of our wooden beds because they are handmade to order in the UK. We manufacture using traditional Mortise and Tenon joints by our experienced carpenters and joiners. Unlike many other companies, we don’t stock beds! This gives us the flexibility we need to custom make any bed, in our large range of finishes or hardwoods all within as little as 4 days! Like all our beds, this space saving bed will arrive flat-packed and will typically consist of three slender easy to handle parcels. All our luxurious wooden bed frames also come in a variety of different finishes for our Solid Scandinavian Pine and Solid Hardwoods. We have 10 different finishes for the Solid Scandinavian Pine and 8 types of Solid Hardwoods that we can use to construct the wooden frame. The handmade Low Platform (Space Saver) bed is the space saver version of the stylish wooden low platform bed. If you require a similar bed frame but with a lower frame, then the Low Loft Bed is an ideal choice for you. The Low Loft Bed is a great choice for fitting into any areas where ceiling size is particularly restrictive such as your attic or loft bedroom. if you’re looking for the same style but with a headboard for added support, the Low Oriental Wooden Space Saver Bed is another great choice for you that has an added headboard for that extra support and comfort. You should also take a look our space saver bed range, which has other designs with similar and different designs that you will enjoy.